When I set out today nobody had said anything on the weather about it being particularly windy until much later in the day. 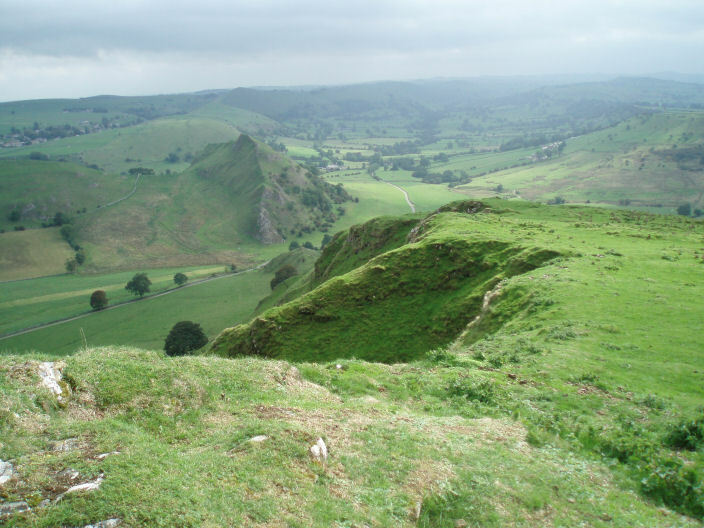 I was somewhat surprised therefore to find myself being blown sideways as I started to climb up Chrome Hill, today was certainly not the right day to be walking along a ridge. 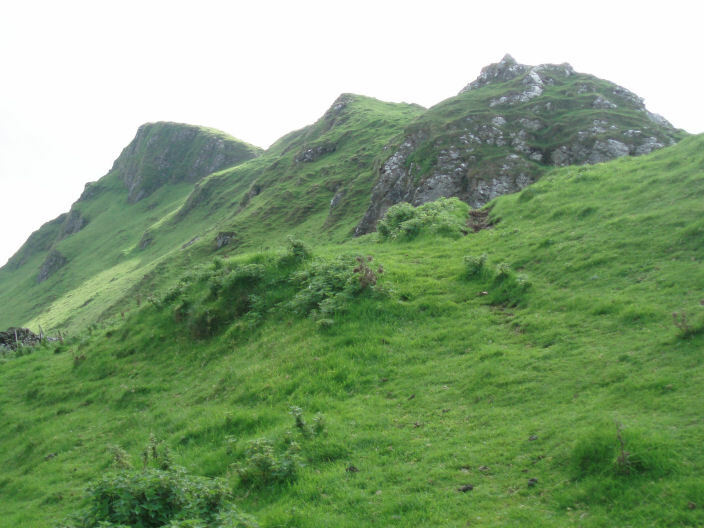 As the wind seemed to be getting stronger I decided to abandon the climb at the end of the walk to the summit of Wheeldon Hill as I didn't fancy struggling uphill into the strong wind. Weather: Warm, overcast and windy. 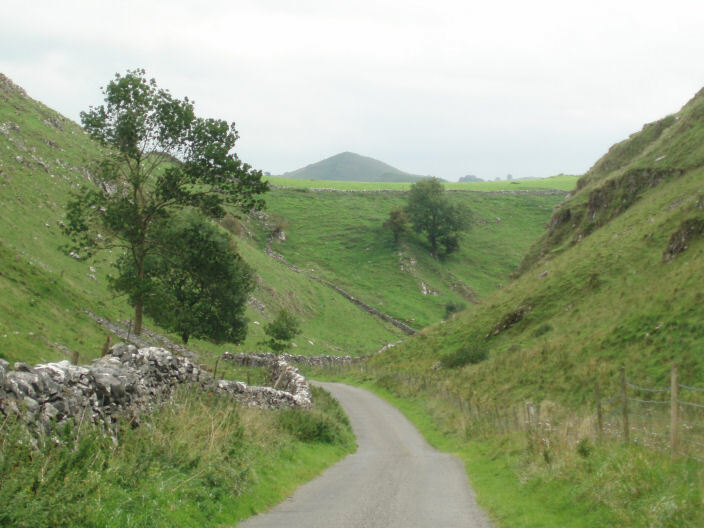 Parkhouse Hill comes into view from the descent to Under the Hill. 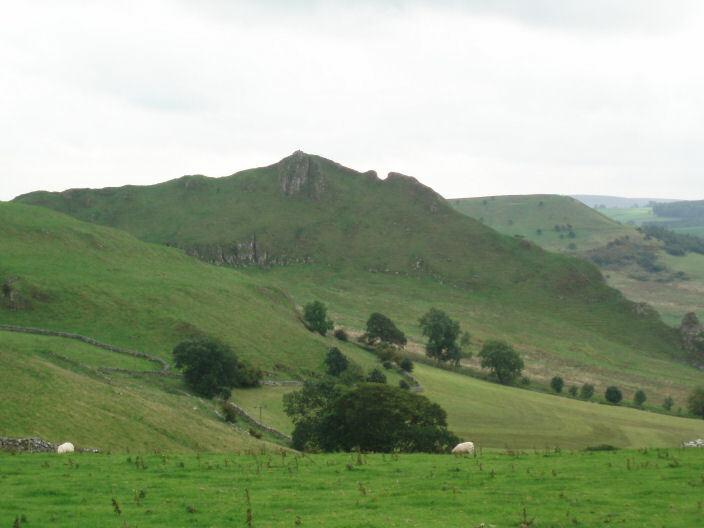 Chrome Hill (L) and Parkhouse Hill (R). Chrome Hill, from here it is easy to see why it is also known as the Dragon's Back. Looking up the Dragon's Back. 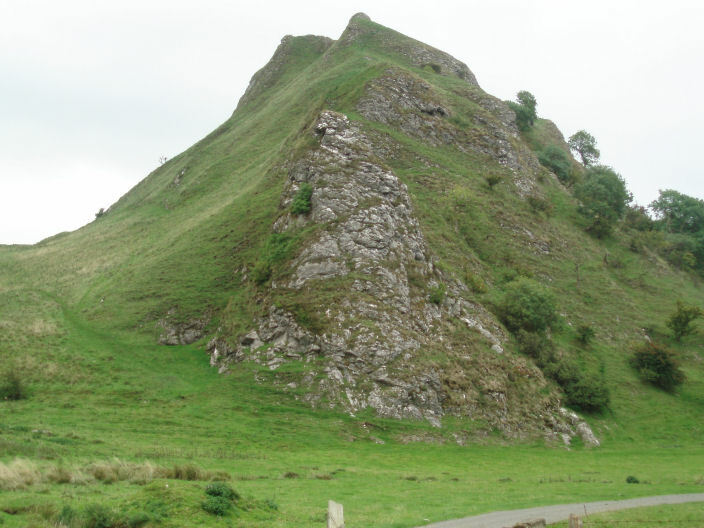 Parkhouse Hill requires a head for heights due to its sharp ridge. 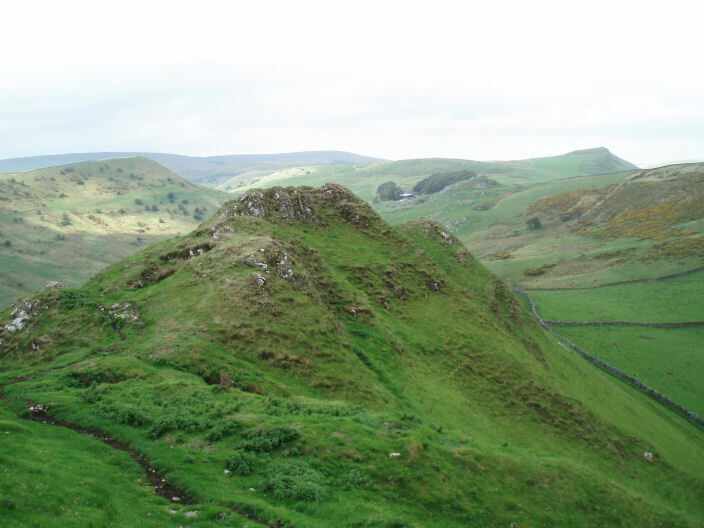 Looking down the Dragon's Back to Parkhouse Hill. on the top the only way I could keep the camera still was to take the picture lying on the ground. forming the ridge in the background. 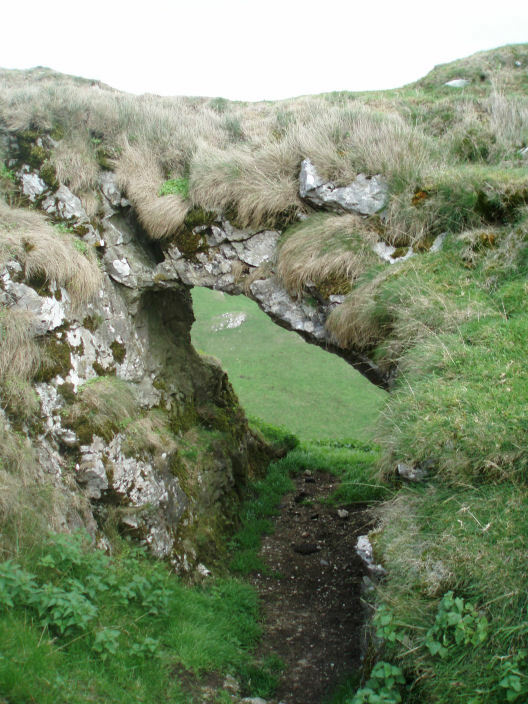 The natural limestone arch which I passed on the descent of Chrome Hill. 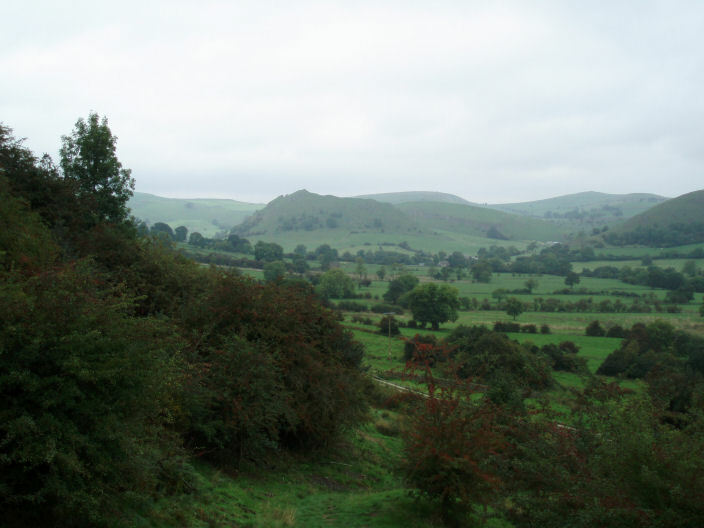 Looking back up Chrome Hill. 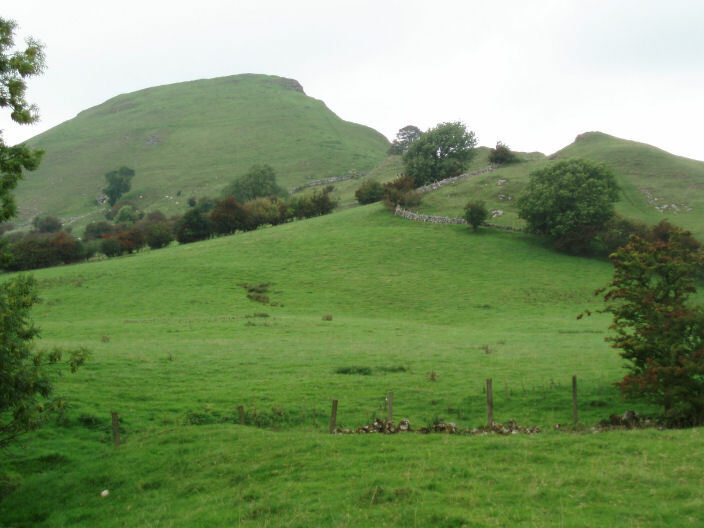 Dowel Dale, with Wheeldon Hill behind. 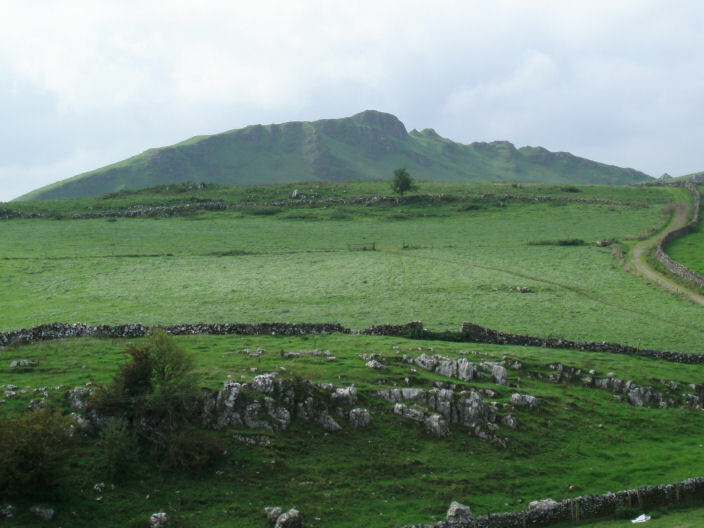 From this angle the sharp ridge of Parkhouse Hill is more obvious. 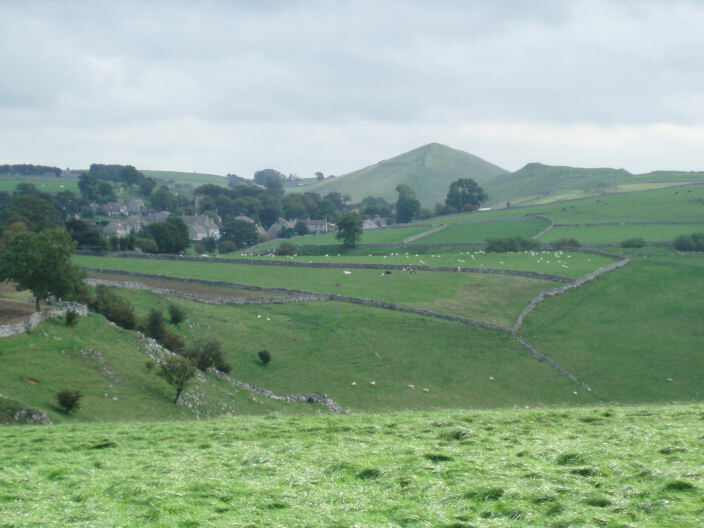 The village of Earl Sterndale with Wheeldon Hill behind it. 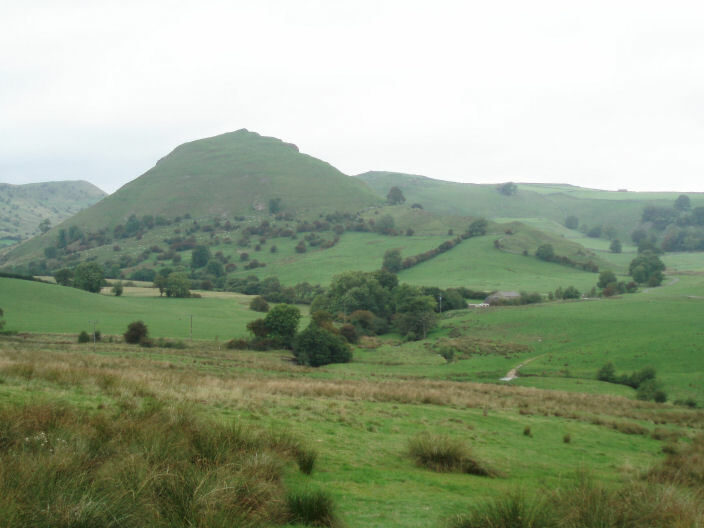 The classic view of Chrome Hill (L) and Parkhouse Hill (R).